All actuators from the µBrick series stand out for their extremely compact design; as a result, they are the smallest of their kind. The µBrick is the only actuator that can fit as many features in as little space. Thanks to its optimized design and the number of inputs and outputs available, the µBrick io66 can meet the most common needs in a standard room. On top of that, we would like to highlight the fact that each and every binary input can be doubled (by means of the application program and a 2,7k ohm resistor) so as to connect, for instance, contacts for technical alarms or binary toggle functions. This way, we can have up to 12 inputs in the µBrick io66. In addition to the actuator's low price, substantial savings can be achieved in all the project lots: ducts, electrical wiring, sensor wiring, distribution boards and skilled labour. In those façades where we come up with several blinds/shutters and/or awnings, the µBrick can be very useful to avoid long cable runs. 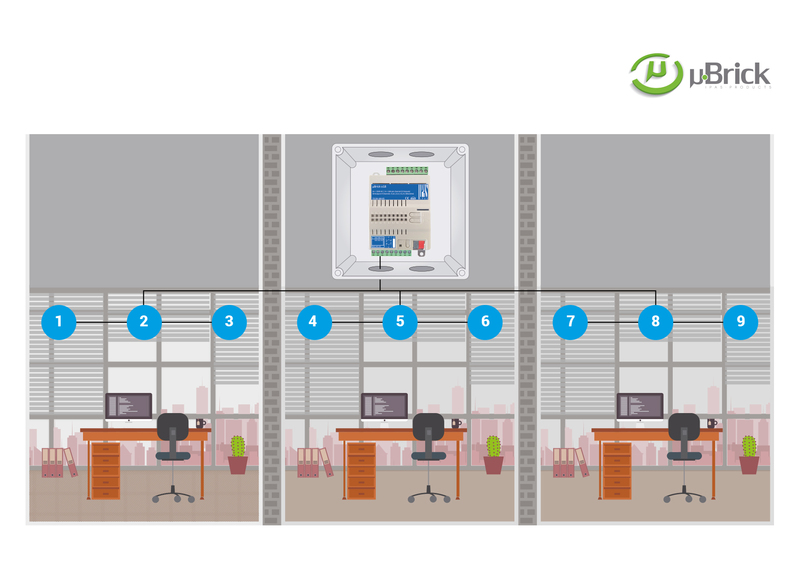 By placing a µBrick o18 in a wall box in/close to the façade (instead of a central distribution board), we can control up to 9 drives. The only KNX actuator with so many possibilities for the processing of analogue signals. Most KNX actuators available nowadays can either not process analogue signals or they support a very small number of them, also very limited as regarding the data point types. 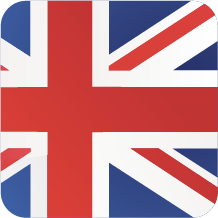 However, analogue signals can be extremely useful in the everyday operation of a KNX system! 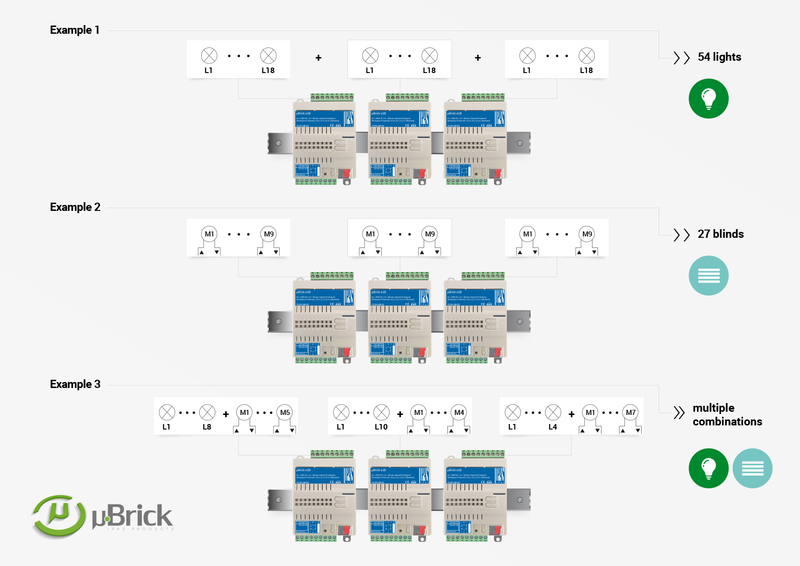 As we can see in the picture, µBrick actuators can receive both via their own inputs and the KNX bus a large number of analogue signals. On top of that, the µBrick allows final users to interact and modify many factors, such as setpoints, thresholds, hysteresis, etc. 2.1 The weather station becomes a sheer measurement sensor. No more limits! Up to now, if we wanted to act on and react upon relevant weather phenomena, we needed a KNX weather station. 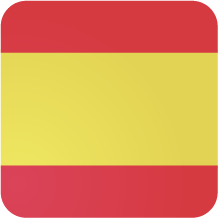 Nevertheless, these are usually limited as regards the number of thresholds, functions and interoperability with the final user. With the µBrick actuators, possibilities get exponentially higher! Each µBrick offers over 60 functions for analogue signal processing (20 logic functions, 30 setpoints, 10 advanced scenes, 8 alarms). All these can be configured with the most common DPTs (including 4 bytes). We are looking at numerous weather phenomena that can determine the blocking and/or positioning/movement of a a blind/shutter or awning. 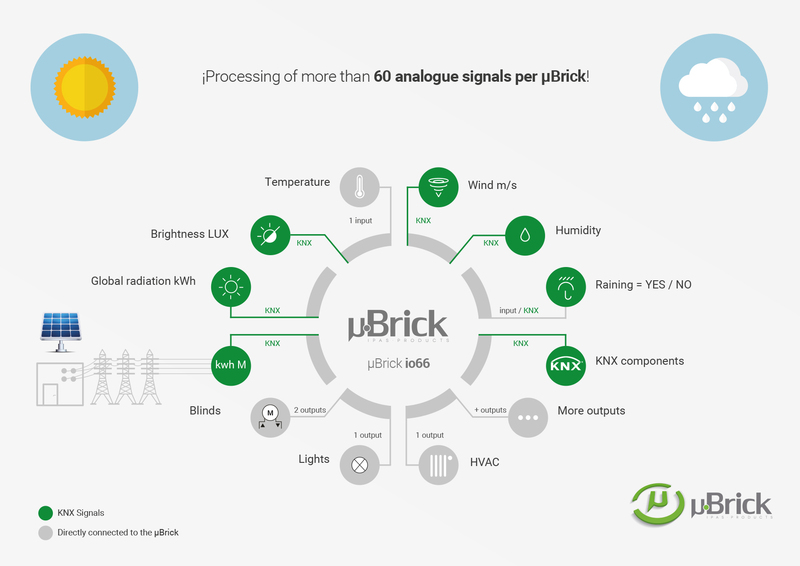 The µBrick's application allows pondering them all and defining priorities depending on their relevance. A very advanced logic control that has been simplified for KNX integrators as never before. The µBrick is one of the few KNX actuators that support the processing of analogue signals with the energy and power data point types. From an energy counter, either KNX or standard (connected to the inputs of a µBrick io66), you can send power (kW) and/or consumption data (kWh) to the µBrick actuator to achieve a smart load reduction (once certain thresholds have been exceeded). Imagine all the practical applications! 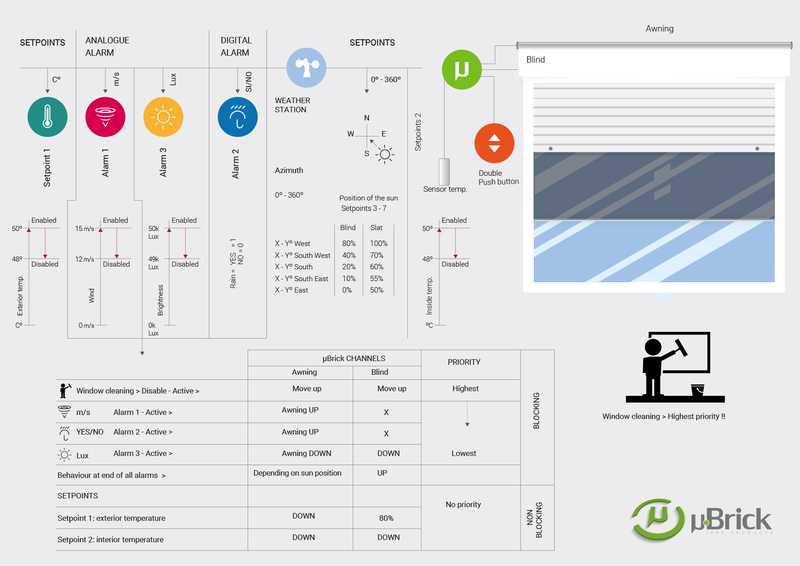 From reducing the setpoint values of air conditioning systems to turning loads completely off. Particularly, in those cases where a time discrimination fee is available, the goal is to perform a series of smart switching commands based on off-peak and peak times. Of course, in the simplest possible manner for the final user. To make this possible, we combine the load control (via the µBrick alarms, setpoints, enable/disable functions, logic functions, timers, etc.) with time switch. Apart from the 10 classic KNX scenes, the µBrick actuators have 10 KNX advanced scenes. So much added flexibility! What makes "Advanced scenes" different? A.- It is possible to insert delays between events of up to 255 hours between each one of them!! For instance, we often come across long-duration cyclic timer events (automatic irrigation systems, purge water valve...). Create unique time-based effects in your KNX scenes. B.- The trigger can be from 1 bit to 4 bytes. Play: it can be very useful, for instance, that a scene is reproduced when a certain temperature is reached. 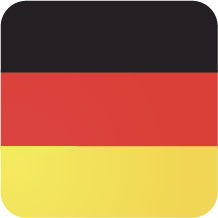 Record: it is possible to save the scene with any desired value (and not limited to the value of the 1 byte object, characteristic of the KNX scenes). - the intrusion alarm goes off and the associated scene is reproduced (turning on all the lights in the house, moving down the blinds, etc.). - In our example, it was a false alarm, very frequent in many homes. - Once the alarm is over, we can go back to the status previous to the alarm. Up to now, this was not feasible with any of the KNX existing devices! Stop: if we have introduced delays between events, it is possible that it takes a while for a scene to execute completely; therefore, it is important to be able to cancel it when necessary. 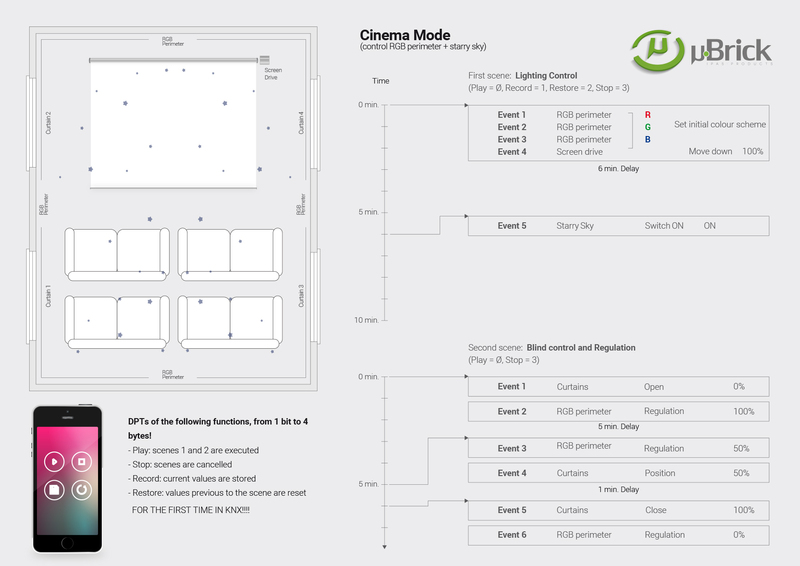 For instance, using two advanced scenes, that are reproduced simultaneously, we can easily control an ambiance that includes: different RGB scenarios, the positioning of blinds/curtains, projection screen, etc. 4. 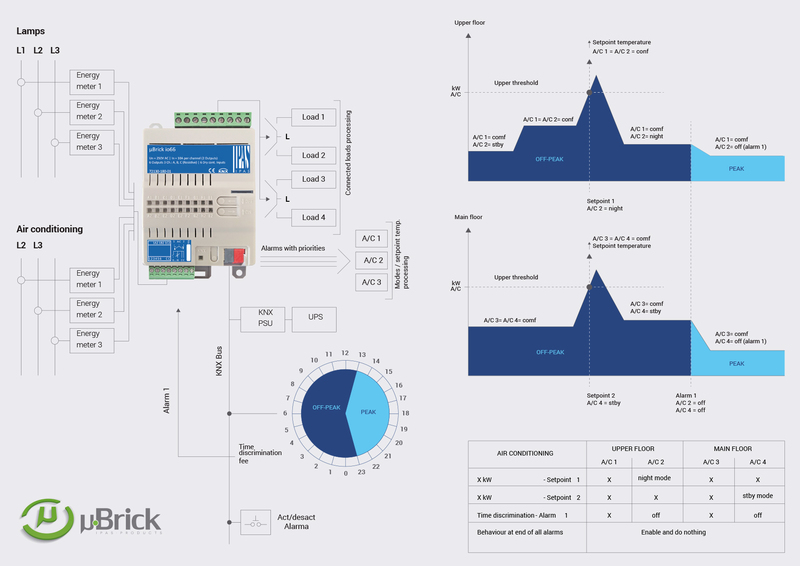 - Timers: function"Staircase with warning pulse"
The µBrick actuators have all the basic functionality of KNX timers, as included in other actuators: delay, staircase, blinking, etc. • or via retriggering (with or without multiplication) the staircase time. So as to illustrate this function, we will use the example of a tennis court. - Each time the receptionist presses the relevant button, the floodlights go ON for 30 minutes. With several presses, the time increases correspondingly. - Moreover, a red warning light has been installed in the court (in this case, having the floodlights blink would be impossible) and another one in a panel located at the reception desk. 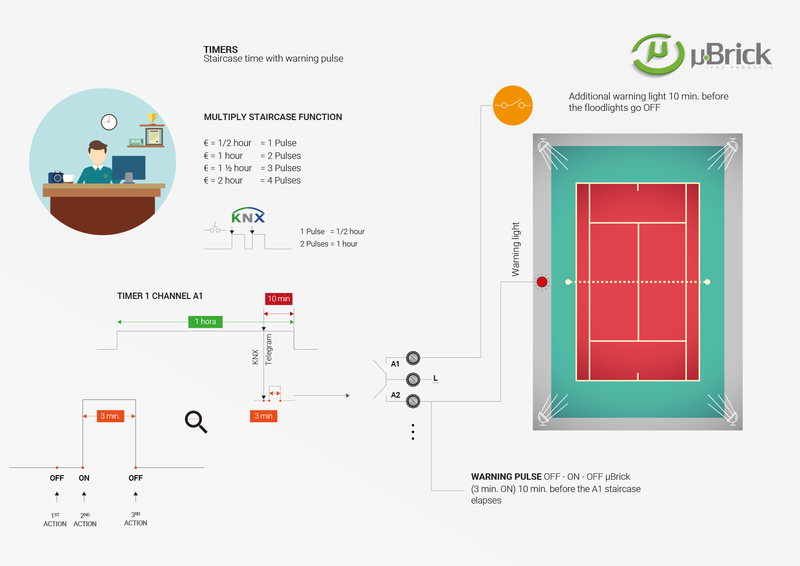 Both lights turn ON automatically 10 minutes before the established time elapses so as to warn players (and also clients waiting to enter the court) that the booked time is about to finish. 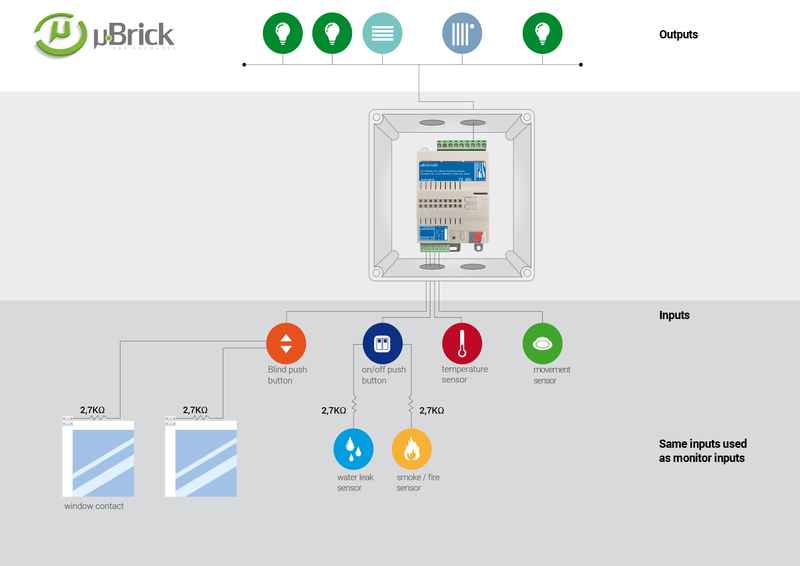 This can be done in an easy and cost-effective way with a µBrick io66; no need for a KNX visualization or additional time switches.